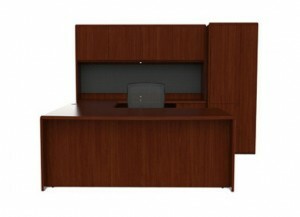 If you’ve been searching for high end office furniture to furnish the office space you’ll be moving into in Alpharetta, Georgia, then NorthPoint Office Furniture is here to help. Since 1994, we have proudly served business owners in the Metro area with their office furniture needs. At our conveniently-located showroom, you’ll find an extensive inventory of superior-quality furniture in an assortment of sizes, shapes, and styles to perfectly match your new office space. We also stage our products so you can see, touch, and compare various styles, allowing you to better envision how the furniture will look in your office. Whether you’re interested in contemporary furnishings or you prefer a more traditional style, you’ll be able to find exactly what you need here. If you’re not sure how to arrange your office, our furniture experts can help with basic space planning and maximize your new space so that it’s functional, comfortable, and inviting. Plus, when you invest in premium furnishings from NorthPoint Office Furniture, you’re getting the best value for your money, because not only will we deliver your furniture to you, we’ll assemble everything for you at no additional cost. Furthermore, all our new products are covered by generous manufacturers’ warranties, so you can feel confident that your investment is protected. To learn more about our collection of high end office furniture and for more information about the services we can provide to businesses in Alpharetta, GA, and the surrounding areas, contact NorthPoint Office Furniture today, or visit our local showroom.